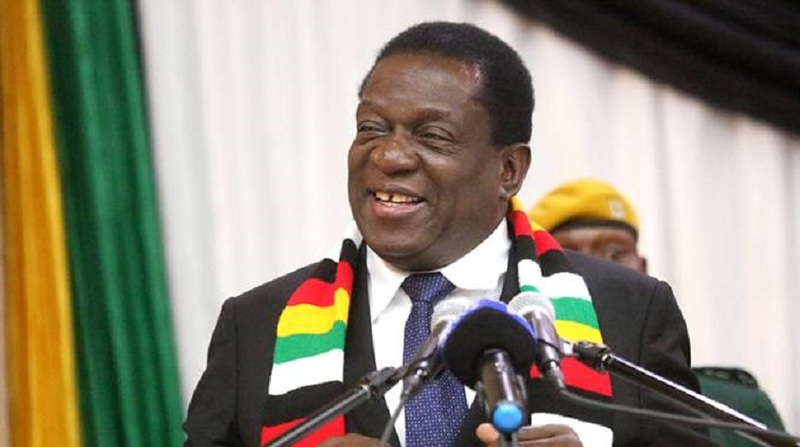 THE concept of devolution being pursued by the Government will ensure that all 10 provinces in the country become enjoined with their districts and communities becoming active lead actors in the creation of national wealth and jobs using resources and opportunities found within their environs, President Mnangagwa has said. The full implementation of devolution of power as enshrined in Section 14 of the Constitution of Zimbabwe, was one of the major promises laid by the President in the run up to the historical 30 July harmonised elections. Writing in his weekly column published in the Sunday News and The Sunday Mail, President Mnangagwa reaffirmed his commitment to implementing devolution noting that this was a development model where growth and development were initiated and implemented by provinces, with central Government playing facilitator and arbiter to the whole process. He added that legislators will not sit on provincial and metropolitan councils. The exclusion of Senators and National Assembly representatives will also mean a leaner, efficient structure whose budgets are expended more on gainful economic activity than remuneration. President Mnangagwa said his administration is fine-tuning laws to operationalise the councils. The President said Zimbabwe was blessed in that it had abundant natural resources which now had to be exploited to the fullest through such development strategies as devolution. “Our minerals remain inert stones or encrustations on rock until they are mined and processed into marketable products which the world demands. Four days ago, I commissioned a lithium project which is set to grow from the hills and rocks of Goromonzi, just outside Harare. We have had these rocks and hills as part of features in and on our land from time immemorial. “Similar deposits are near Bulawayo, in Hwange, Kamativi and in Bikita. Until now, only deposits in Bikita were being exploited. Yet if these deposits are worked and processed, Zimbabwe immediately becomes the first on the continent, and the eighth largest producer of lithium in the world. The mineral is in such great demand globally,” said President Mnangagwa. He said the 2019 Budget, as presented by Finance and Economic Development Minister, Professor Mthuli Ncube marked a new era in the country where resources, assets and skills will now have to interact to trigger economic activity starting at a local level — this being the attribute of devolution. A total of $310 million was earmarked for devolution. “Largely because of our chequered past, not all our provinces have attained the same level of development. There are disparities between provinces, and disparities within provinces. Remarkably, the 2019 Budget Statement recognises such disparities and seeks to make amends. It suggests an interim fiscal transfer framework which allocates . . . resources cognisant of socio-economic disparities across provinces and authorities. “Government will have to re-invent itself, drawing from experiences of countries like the People’s Republic of China where provinces have been transformed into major economic powerhouses not just within China itself, but globally. My visit to the Provinces of Anhui and Zhejiang revealed what must be done, indeed what we must learn and adapt to our own circumstances,” said the President. He said his expectations were that while central Government was seized with building key enablers, provincial and metropolitan authorities must start building capacities, including assembling skills needed for enlarged roles to come. President Mnangagwa further noted that when the country reaches a point where it can fully exploit its resources from a local level this will ensure the growth of the economy, creation of jobs for the youths and cause balanced and inclusive development for the country, in line with Vision 2030.